As such, Huawei only saw it fit to equip the new Mate 20 Pro with a whopping 4,200 mAh battery while the Mate 20 sports a large 4000 mAh to meet the needs of its users. Both devices will support HUAWEI’s very own SuperCharge technology that allows the user to charge their device up to 70 percent in half an hour. The Mate 20 is equipped with 22.5W SuperCharge which makes both Mate 20 Pro and Mate 20 the fastest wireless charging devices in the market. Mr. Chengjun also said that “Batteries are an important aspect of every smartphone especially to the digital world we currently live in. We all want real-time updates and we want to stay connected with our loved ones every minute of our lives. With Huawei Mate 20 and Mate 20 Pro’s battery capabilities, you can now enjoy a more fulfilled life with a higher intelligence and unappalled battery lives. The Mate 20 and Mate 20 Pro is already available in all Huawei Experience stores nationwide, Smart, Globe Postpaid Plans and partners retailers nationwide. The Mate 20 Pro retails at PHP 49,990 and The Mate 20 retails at PHP 40,990. Consumers will also get a free one-time screen replacement for their Mate 20 and Mate 20 Pro within one month from the date of purchase. Visit https://consumer.huawei.com/ph/ to learn more. 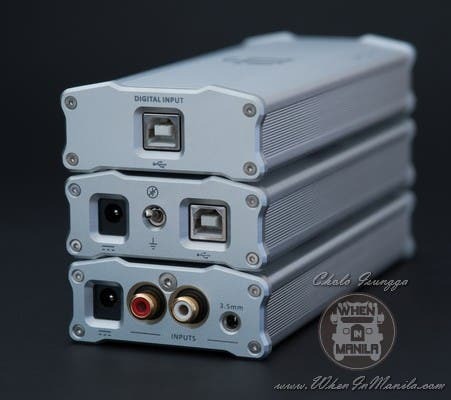 iFi-audio: Transport your desktop audio! ASUS ZenFone 2 Laser Review: Power And Elegance For Less!